In late September, I published a guest column from Corey Philip Czyz of Homeprosuccess.com, who took a shot at contractors focusing on Search Engine Optimization (SEO), while suggesting that residential lead generation services could make sense. I knew that Corey’s column would inspire a response from Brian Javeline, who passionately criticizes the lead generation services, while advocating for SEO. He offers a website/SEO training program, myonlinetoobox.com and co-ordinates with Michael Stone, undoubtedly one of the most effective residential contractor consultants. I read the Pot Of Gold article and realized it may mislead contractors into avoiding the topic. I am prejudiced towards the topic and wish to offer an alternative opinion. This is the same regardless of whether someone is a Do It Yourself Website type of contractor or perhaps a contractor who is using a programmer or dedicated web company for programming. Video: Devon Stone introduces Brian Javeline with some fundamental SEO tips. It is important for contractors to realize that SEO, which stands for Search Engine Optimization, is critical for being found within organic (or free) listings when people are looking for whatever service in whatever location they provide those services. Google and Bing easily account for the majority of all search traffic, and it is not going away in the near future. The story may inadvertently scare people into worrying about Google changing the rules all the time, which is true that they change the rules. But I prefer to teach my clients to not focus on the rules changing since rarely do those rule changes impact the smaller contractors who are doing the right thing on a consistent basis. Those rule changes are done to level the playing field against lead generation companies and everyone else who are attempting to trick the search engines. Most of the SEO topics that impact a website are not rocket science, but the quality and continuity is a learned trait.Most of the SEO topics that impact a construction contractor’s website are all based on the premise of fresh content (new pages, updated pages, pictures, testimonials and video). The file names and titles need to be done correctly as a starting point. And there are topics that are technical in nature, but that is just a subset of the majority of easy to understand topics. In this regards the technology is irrelevant. I realize it is not a perfect analogy, but it is important for people to realize content is important for their website and the SEO topics are important too to support how the website pages are indexed. There is another misleading comment where it says Customers Are Taking Their Search Off Google. It would be better to say Customers Are Supplementing Their Searches to Google, but they are not leaving Google. It is very common for people to search more than one way to find resources, and why not be found within multiple channels. But the different search channels should be highly considered and not just randomly mixed together. For example, I much rather guide my clients to focus on Google and Facebook and YouTube since they will get a much more quality lead over a period of time. Mentioning the Lead Generation sites is not always a smart move since many people are price shopping and tire kicking too. And I know many who do not want to always feel like in a bidding war based on how the sites work (matching up the three service providers for each search). And that is completely separate from the Lead Generation Terms & Conditions that can be, shall we say, rather questionable how they drive traffic to your competition. 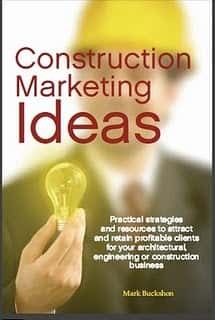 The Lead Generation topic is a whole other pandora’s box that I rather not open to a contractor when discussing websites and SEO. And in closing, your previous story indicated to “Don’t waste time dealing with the wizard behind the curtain, which is Google search. Don’t focus on SEO. Just publish your content”. I agree to publish your content, yet completely disagree if you do not focus on the SEO. You (or your website programmer) needs to know how to publish the content so the search engines recognize it. MyOnlineToolbox probably has impacted thousands that have done very well obtaining ongoing success simply by being consistent in what they say and how they say it, with a general idea of the items that have the search engines favorable index the businesses. Not banking on SEO is definitely a way to miss a great interest payment in the form of More Quality Leads for years to come. Tomorrow I’ll present yet another perspective on this topic, and in the following posting, summarize the perspectives and my own point-of-view. 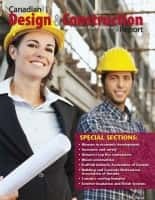 (Note while the observations in these discussions have some relevance to everyone, they are especially useful for residential rather than industrial, commercial and institutional (ICI) contractors. Next articleSEO, leads services and content — How do you set your construction marketing priorities?